With my last month in India rapidly drawing its last breath, I realise that I have been rather slow at updating this series. (see Part 1) This is primarily down to what is known as the ‘Vodafone Saga’, which has consumed rather a great deal of my time. I will write about it one day. Until then, I will catch you up on some more of my India Memories. 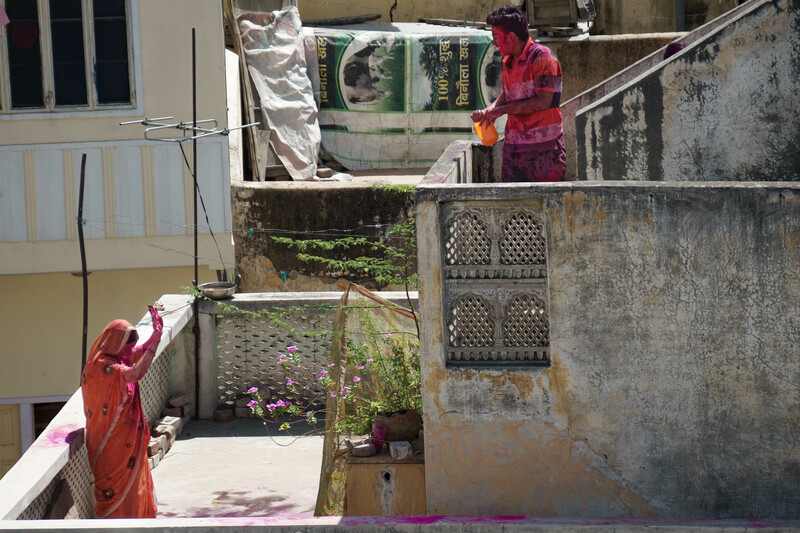 This year, I retreated to the rooftops where I was able to view families playing their own private games of Holi. They saw me with my camera, and after waving enthusiastically at me they soon forgot my presence and went back to enjoying the Holi festival. This pair immediately caught my eye . I’m not sure whether she’s his wife, mother, or sister, but he chased her around the rooftop throwing handfuls of coloured powder at her. They both seemed to be enjoying themselves immensely. 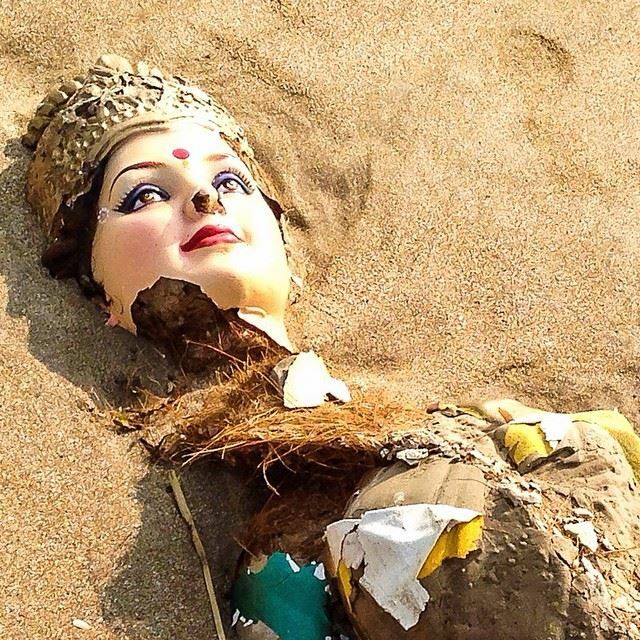 Walking along Juhu beach one Sunday morning, I looked down to see the stunning face of a goddess statue staring back at me. The day before had been one of India’s many festivals where statues like this are carried down to the beach and submersed into the sea. One of the things I love most about living in India is finding interesting things like this amongst the daily grind. 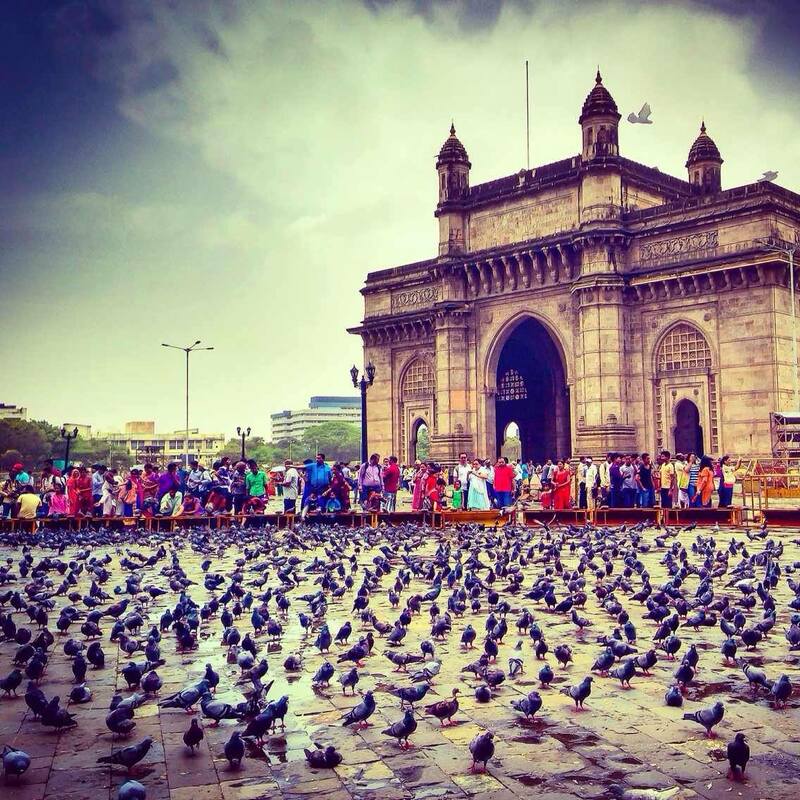 This historic gateway was built to receive King George V and it was the ceremonial departure point of the British departure from India. Now, it’s pretty much just a popular selfie background for locals and foreigners, as well as a roosting home for pigeons. The sight of tourists huddled atop an elephant as it staggers its way up the steep walkway to the fort made me sad, but I took this picture as a sole elephant returned with the mahout after its last job of the day. 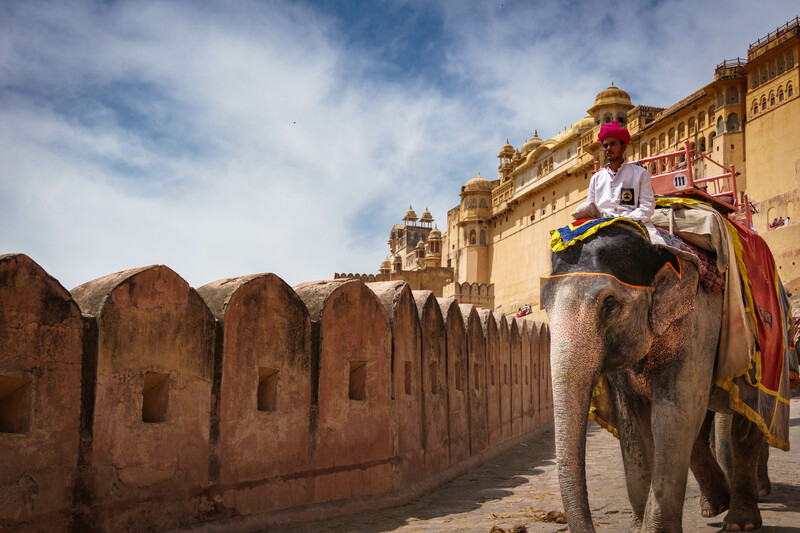 It’s hard not to visualise India – Rajasthan, in particular – without elephants, but this, of course, allows the elephant tourist trade to continue to thrive. As for me, I didn’t ride an elephant and I was pleased to hear that they stop working by noon. Small steps in the right direction for elephant welfare. More Indian wildlife. 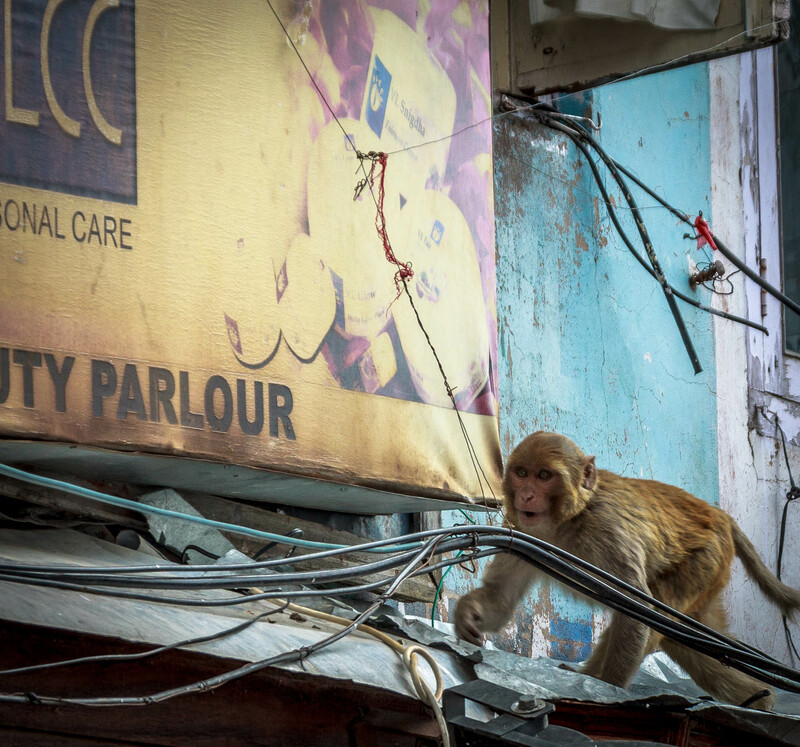 I don’t like monkeys much at the best of times, but the ones in Shimla were aggressive if they came too close. I took a picture of this one strolling along next to a beauty parlour, but I put the camera away as soon as he noticed me! 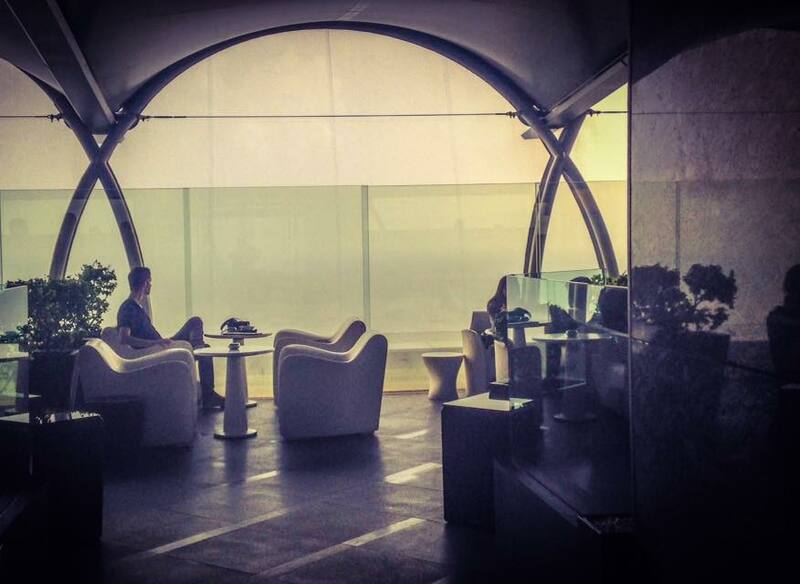 Aer bar is said to be one of the best rooftop bars in Mumbai, and has even topped some of the best rooftop bars in the world lists. We visited during monsoon, so sheets of rain obscured the views, but the ambience was good and the cocktails were great. The price tag, however? Make sure you go after you’ve been paid. 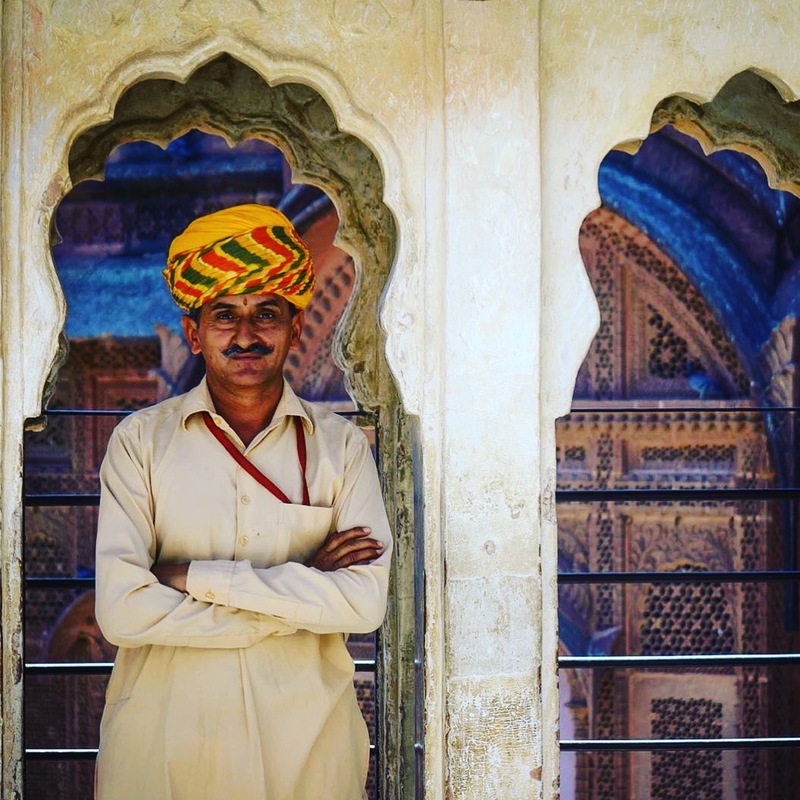 This man’s job is simply to stand in this archway and pose for photographs. If you’re willing to part with a few rupees, it’s really not difficult to get that iconic shot of India. This picture is one of my most popular on FB and Instagram. 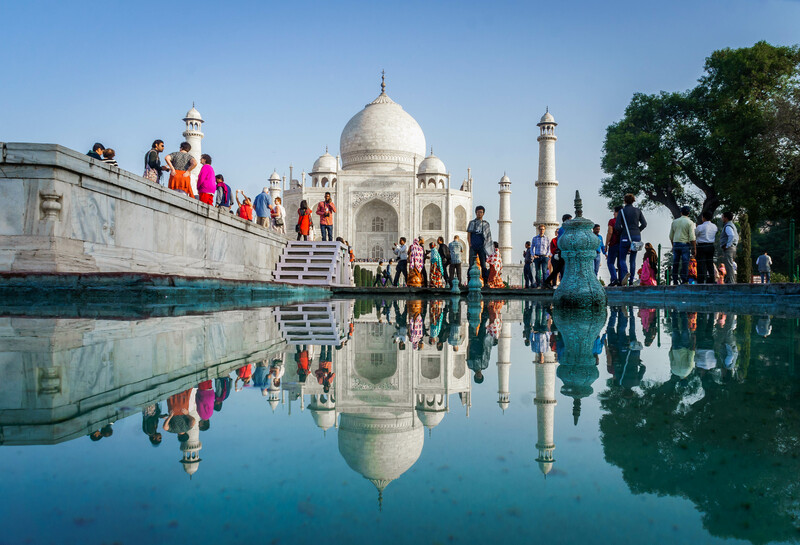 When you go to the Taj Mahal, you’ve got to expect that it’s going to be busy, and, of course, any good blogger is going to tell you to get there early to avoid the crowds. Well, here’s news for you. When you get there early to avoid the crowds, you end up in the crowd that is doing exactly the same as you. 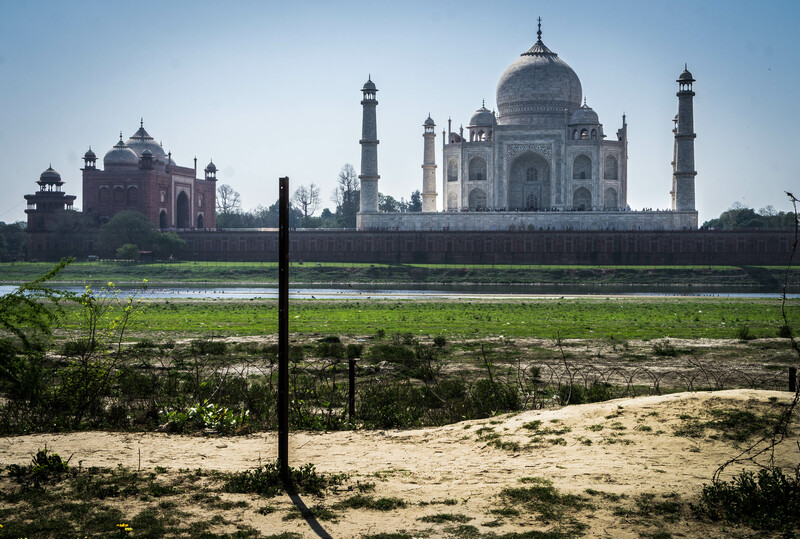 You might just be lucky enough to run faster than them to get the prized picture of the isolated Taj. As for me, I missed that shot, so instead I tried to incorporate the crowd into the picture. I think it worked, don’t you?